« Migrate to SharePoint Online or upgrade to SharePoint Server: Which is Better? In place for SQL Mirroring, SQL AlwaysOn Clustering and Availability Groups is there for SQL in Skype4Business Server 2019. SQL Mirroring was a popular method of SQL HA but it was said by Microsoft for a long time that this feature will be deprecated soon and SQL AlwaysOn along with Clustering will take its place. In place of persistent chat, there is Teams already present in Skype4B. In Place upgrades also needed tweaking every time you configure them, so most users are pleased that it’s gone. The legacy Mcx Service is replaced by UCWA, that’s more popular too in Skype for business Server 2019. 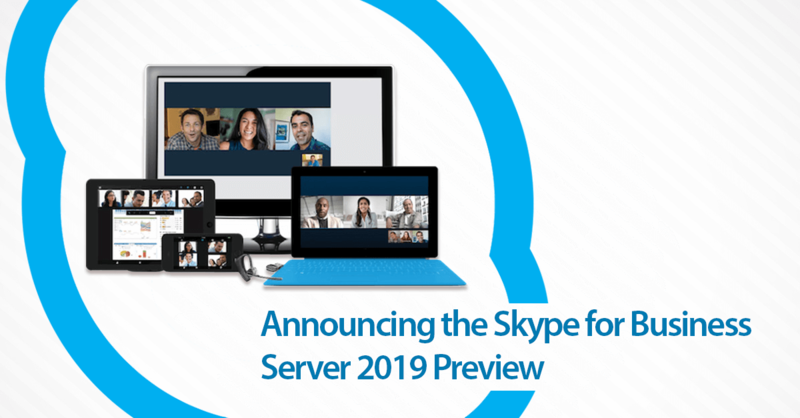 Yes, Hybrid is needed in order to take advantage of the newest features in Skype for business Server 2019. This will also make migrations easier to Skype for Business Online or Teams. You can still use the Standard edition. Enterprise edition is popular too. To take maximum advantage of Windows Fabric, it is ideal to have three FE’s. Office Online Server along with Office Web Apps is still used. Standard Edition requires dual 6 core processors along with at least 32GB RAM. It deploys SQL Express 2016. For the Enterprise Edition, you would need, dual 6 core processors along with 64GB RAM for each EE Front End and Back End Servers. That makes it needing double the memory needed to run Skype for business Server 2015 a few years back! It can also run QL Server 2016/2017 with latest updates. For Operating systems: the only platform where it can run is Windows Server 2016. MachPanel is an integrated Control Panel especially designed to cater the needs for CSPs. Its Automation Module for Microsoft Skype for Business also supports Lync 2013 and 2010. It offers Enterprise Voice service, billing and reporting, Persistent chat, Service for phone numbers. There is a centralized management control panel which offers flexibility and control to Providers, Resellers and End Customers. If you are looking for a streamlined solution to your business call handling, MachPanel Automation module for Skype for Business is the answer. So, gear up and get your hands on this promising Automation module for a successful growth of your business. This entry was posted on Monday, October 1st, 2018 at 2:37 pm	and is filed under Microsoft Skype for Business. You can follow any responses to this entry through the RSS 2.0 feed. Both comments and pings are currently closed.